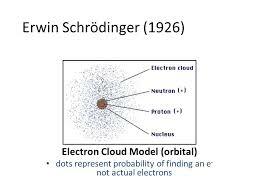 If you are a chemistry student then knowing the electron cloud model is very important for you. It was given by Erwin Schrödinger and Werner Heisenberg in 1926. According to this model, the electrons do not revolve around their orbitals in a specific path. Rather they are accumulated at specific spots near the nucleus like a cloud. This theory is quite different from the earlier Bohr’s atomic model given by Neil Bohr, according to which, electrons were assigned to different shells in an atom. What is the Difference Between Electron Cloud and Orbital? The difference between an electron cloud and orbital is that an orbital is a region where the movement of electrons is limited to near the nucleus of an atom, whereas the electron cloud is the regions in the orbital where the electrons are likely to be found. Electrons revolve around the nucleus of an atom just like planets around the sun. And they follow a fixed path called the orbital or shell. 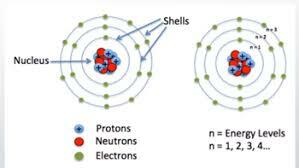 Each orbital or shell has a specific number of electrons within it, which defines its position in the periodic table. 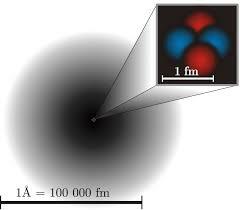 The electron cloud model helps scientists allot a number of electrons in a particular orbital, thus determining its position in the periodic table. What Does the Electron Cloud Represent? 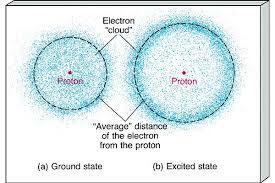 An electron cloud represents the probable locations around the nucleus where electrons are likely to be found. Electrons behave in an erratic manner, and the electron cloud model gives scientists an idea about the regions most likely the electrons in an atom can be located. It is another way to describe the electron orbital and is represented by a shaded region in a diagram, signifying the region surrounded by the electrons. What is Electron Cloud in Chemistry? Electron Cloud Model in Chemistry has a great significance and has been used by chemists to calculate to the nearest proximity the number of electrons in a particular shell or orbital of an atom. The electron orbitals so drawn are not spherical and may be scattered. With the help of the electron cloud model, scientists can also determine the trends in a periodic table. Posted in Period TableTagged Electron Cloud Model Definition Chemistry, What Does the Electron Cloud Represent?, What is Electron Cloud in Chemistry?